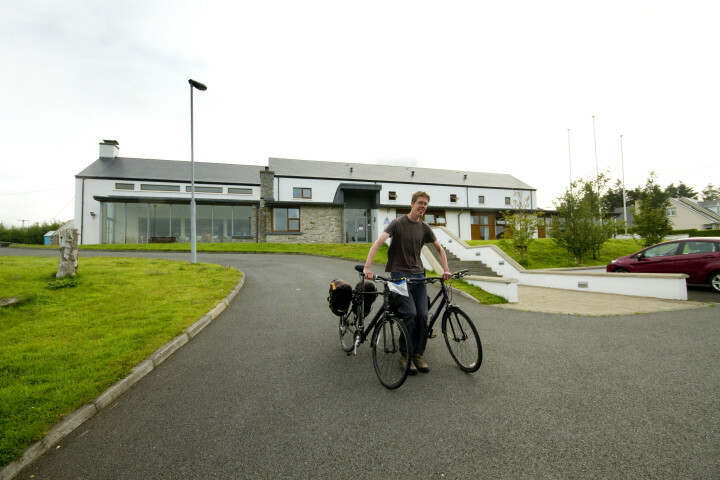 This luxury Donegal Hostel is situated in a stunning corner of Ireland in County Donegal. 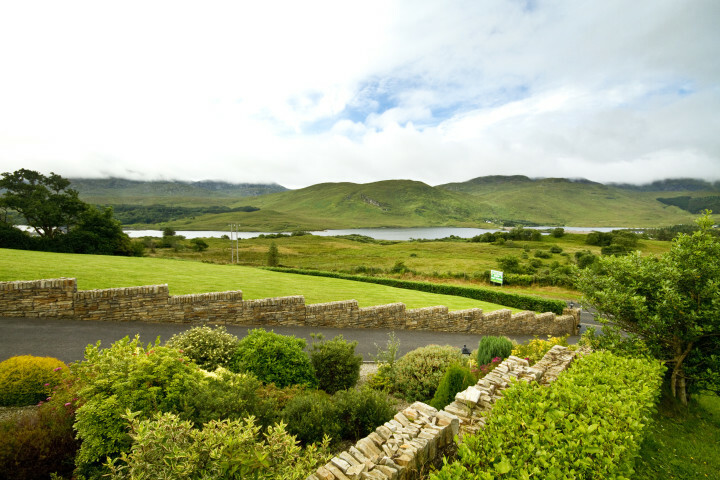 It lies at the foot of Donegal's highest mountain, Errigal and is on the The Wild Atlantic Way. The Poisoned Glen is a short walk and Glenveagh National Park & Castle only 20min drive away. We are the ideal base for all your walking and touring needs. From here, visit rugged hills and pristine sandy white beaches. 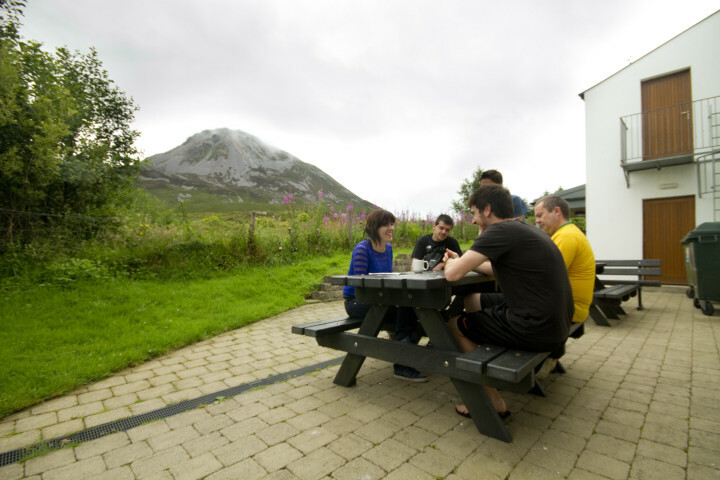 Errigal Youth Hostel features large family bedrooms built in a mezzanine fashion suitable for 6 people per room. All twin bedrooms are en-suite with more 4-bedded rooms available all with their own bathroom outside of the room. overlooking Loch Nacung. 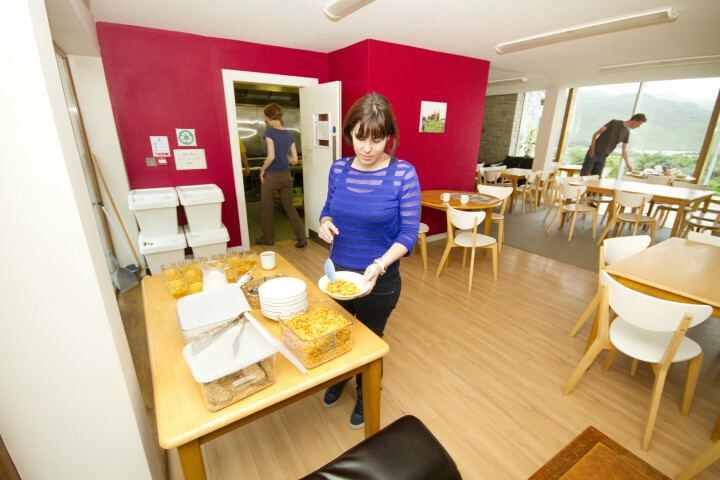 The hostel features all the usual characteristics of a top rated hostel including a self catering kitchen, large common room with free tea and coffee all day and a cosy room for those who wish to relax and enjoy the tranquillity of one of the remotest communities in Europe. Energy saving devices such as wood burning stoves and recycling initiatives are also incorporated into the building. 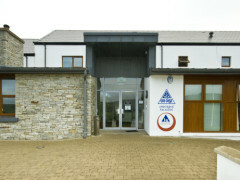 Our hostel manager Ann and her staff will give you a warm Irish welcome when you arrive at Errigal Hostel.